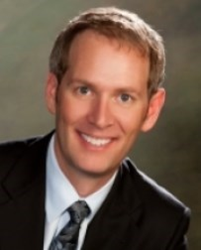 John Weller named one of Denver’s outstanding mortgage professionals with fewer than 6% awarded. This award is a great feather in my cap. Three decades of serving customers on the most important transaction for their families. It has been an honor and I am grateful for my customers’ positive evaluation. Five Star Professional is pleased to announce John Weller, Megastar Financial, has been chosen as one of Denver’s Five Star Mortgage Professionals for 2017. Five Star Professional partnered with 5280 Magazine to recognize a select group of Denver-area mortgage professionals who provide quality services to their clients. Less than 6% in the area were selected. John Weller is featured, along with other award winners, in a special section of the September issue. “This award is a great feather in my cap. Three decades of serving customers on the most important transaction for their families. It has been an honor and I am grateful for my customers’ positive evaluation,” said John Weller of Megastar Financial. The Five Star Mortgage Professional award program is conducted in more than 30 markets throughout North America. Mortgage professionals are measured using an objective, in-depth research methodology with significant focus on customer feedback and overall satisfaction. See John Weller’s Five Star online profile here! “I design mortgage solutions to help people achieve their financial objectives. The opportunity to fund loans is really about establishing a relationship. Later those relationships generate more loans for friends and fellow family members. I take care of a stable of about 2,000 families. I have the privilege of serving these families instead of advertising and prospecting thanks to the numerous referrals and recommendations. They have been a tremendous blessing,” said John Weller. Five Star Professional contacts thousands of recent homebuyers, along with real estate agents, to identify award candidates and measure their client satisfaction levels. Phone and online respondents rate their mortgage professional on criteria such as overall satisfaction and referability. Qualifying candidates are then evaluated on objective criteria such as experience, production levels and disciplinary and complaint history.